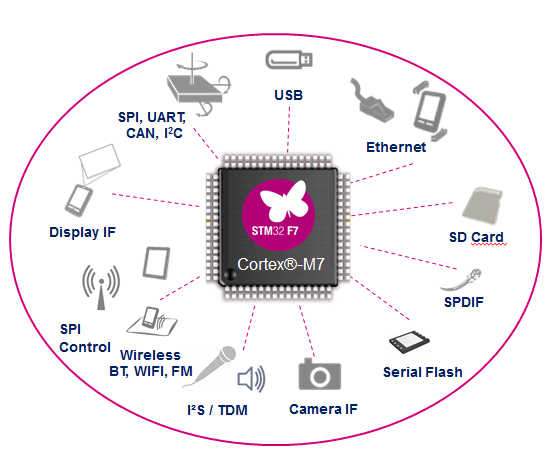 STMicroelectronics lately announced the launch of the Cortex-M7 based MCU STM32 F7 in mass production along with its discovery kit. 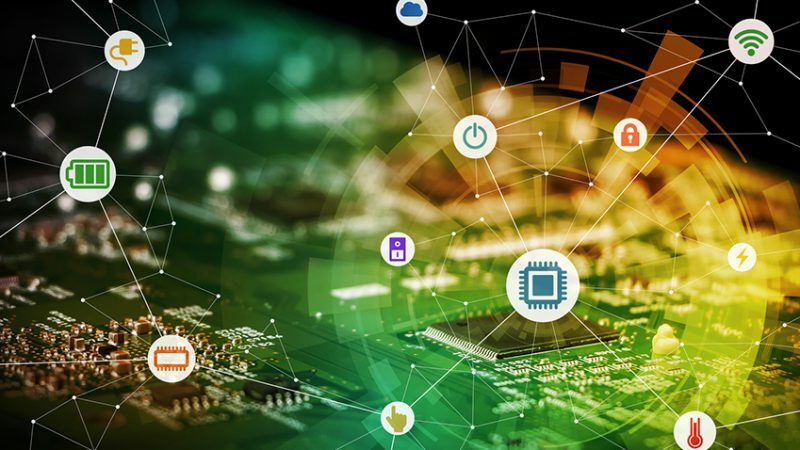 The STM32F7 development platform supports engineers and makers with sophisticated features when developing applications for medical, industrial, consumer and other segments. The impressive key features of the discovery kit include the STM32F746NGH6 microcontroller featuring 1 Mbytes of Flash memory and 340 Kbytes of RAM, in BGA216 package, an on-board ST-LINK/V2-1 supporting USB re-enumeration capability, a 4.3-inch 480×272 color LCD-TFT with capacitive touch screen and Arduino Uno V3 connectors. The discovery kit is aimed at all designers looking for audio, multi sensor support, graphics, security, video and high-speed connectivity features. Further they can take advantage of the Arduino connectivity support providing nearly unlimited expansion capabilities. The STM32F7 combines the ARM Cortex-M7 core with advanced peripherals, giving product designers easy access to opportunities to enhance application performance, add new functions, extend battery life, ensure security, and minimize use of external components to save cost and size. The architecture also saves designers’ time usually spent on optimizing code performance and length, to allow extra focus on creating differentiating features in the end product. To enable a large diversity of applications, the STM32F7 Discovery Kit comes with the comprehensive STM32Cube firmware library. For design support and questions feel free to contact EBV.